This bread with an improbable name is the one which won its creator John Tredgold (aka JT) a spot on Bread Team USA 2010, so you’d better believe it’s good. It is in fact awesome, so much so that it will become a fixture in my house on baking days. You should have seen the speed at which it was wolfed down by my grandchildren when I brought the loaves over. Everyone went back for seconds and thirds, from the 3-year old twins to their teenage brother and sister. Of course the older kids were completely unaware when devouring it that they were ingesting the very same healthful whole grains as the ones they scorn when listed on the wrapper of a supermarket sliced loaf. Nothing like a deliciously crunchy crust and a complex taste to make you forget your dearest principles! 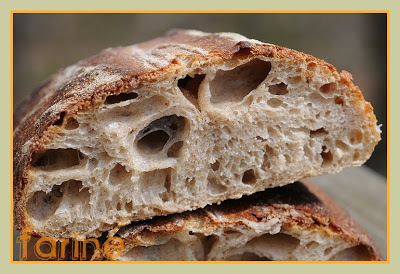 The 85×3 gets its matchless aromas from a high-extraction flour as well as from the use of three different preferments, a biga, a poolish and a levain. 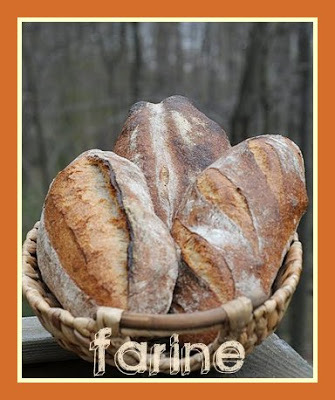 The biga and the levain are made with 100% high-extraction flour while the poolish uses regular bread flour. 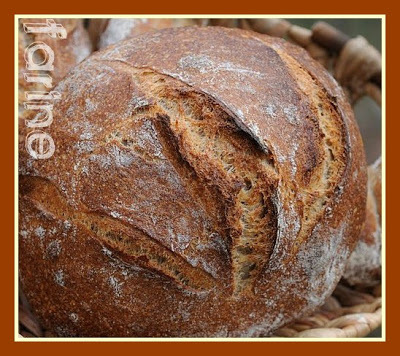 JT used Artisan Old Country Organic Type 85 malted Wheat Flour (ash content: 0.85%) from Central Milling. I didn’t have access to that flour, so I used La Milanaise‘s “farine tamisée” which contains just a tad more bran. La Milanaise flours are not sold retail in this country. I got mine from a friend who owns a bakery. 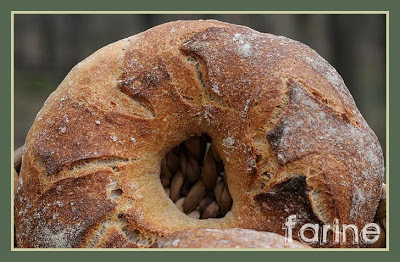 If you don’t have access to a high-extraction flour, a reasonable substitute would be to use 80% organic white flour and 20% whole wheat flour. I didn’t have raw wheat germ, so I left it out of the recipe. Also because it was cool in my house (much cooler than in the bakery at Semifreddi’s), the poolish and the biga took their own sweet time to ferment and I ended up mixing the final dough too late in the day to contemplate baking before night. So I left the dough at room temperature (about 64 F/18C) for one hour, folded it once and put it in the fridge (on the top shelf where it is a tad less cold). The following morning, I took it out, gave it a fold and let it come back to room temperature (one hour and a half to two hours) before dividing, shaping, etc. JT’s original formula can be be found here. The recipe below is my interpretation. JT recommends turning off the heat after 30 minutes and leaving the bread an additional 15 minutes in the oven with the door ajar. I will try that next time as I found the crumb a little bit moist when I first sliced open one of the cooled loaves. JT’s 85×3 goes to Susan, from Wild Yeast for Yeastpotting. Tout ce que j'aime, merci, je vais faire cela très vite. Bravo. That sounds good! 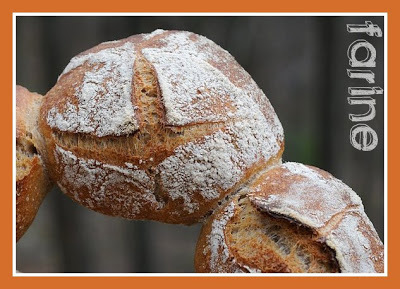 I love breads with diffrent kinds of preferments, so I will try this recipe for sure! I really appreciate all the thought you put into these posts and updates about unique bakers. Thank you for your version of this recipe. It looks very good and more manageable than the main formula. I baked two breads from the 3+ kg dough today; one boule, one batard, great oven spring, lovely crust, excellent crumb but most of all superb flavor! It is going to be a favorite but an experience to hand work it! My arms and shoulders hurt from last night's work – worth it though. Thanks very much for your efforts – it is an excellent recipe. @AC, tu me diras si vous aimez ce pain autant que nous. @Stefanie, let me know how it turns out if you try it. @Esther, thank you for your kind words. You are right, the recipe is actually fairly simple beyond mixing three different preferments. @Stefan, thanks for the feedback. I am so glad you enjoyed the recipe. Kudos to you for hand-working the dough! I am curious: is it easy to come up with the different grains/flours out in Pakistan? 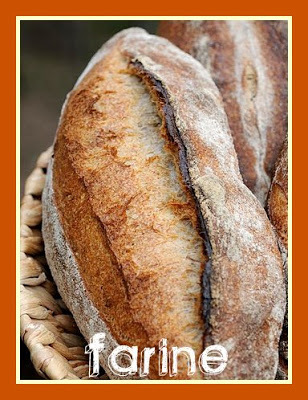 What a fantastic formula and fantastic breads you've made! Thanks for taking the time to write up the formula. (1) Based on his formula, your Biga and Poolish salt quantities would have read 0.38 g for each (instead of 0.003 g that you have used) and the yeast would have read 0.38 g for each as well (instead of your 0.003 g). (2) In JT's original formula, his yeast for an almost 20 Kg final dough size is 0.3%, ie. 0.017 Kg (or 17 g). This means your final dough would have had 3 g instant yeast, instead of 0.017 g.
(3) Your overall dough hydration was 73% whereas JT's was 76%. 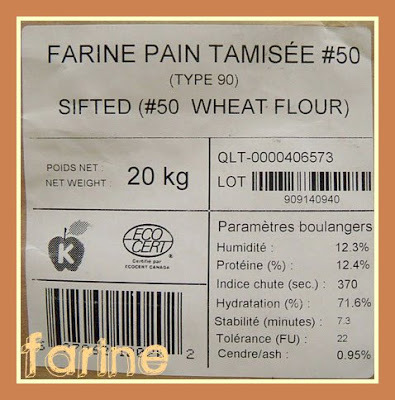 As you said your flours were less thirsty than JT's flour, but you have also used less high-extraction flour “proportion-wise” compared to his Type 85 flour. What I meant was – your white flour and the 3 preferments were scaled to 17.22% of his formula, but your high-extraction flour was only scaled to 15.58% of his white flour. 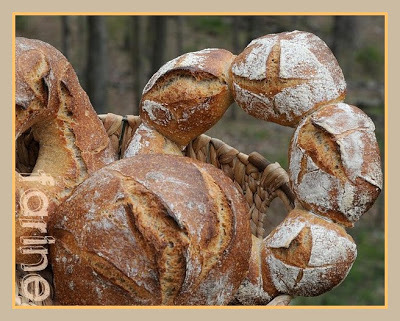 Your breads of 85×3 look absolutely delicious! I am dying to give it a try. Thank you. Super! As always MC! I will have to give this a go! Wow, impressive! I just made the dough and it's now ready for baking. Hope you are having a good visit in the west coast. Just wanted to let you know that I have made your 85 x 3 and I posted in Sourdough Companion. Thanks for a superb write-up. Goodness, these are gorgeous. Love the beautiful crust! Perfect for yeast spotting indeed. Another source for high extraction flour, via mail order, is from Heartland Mills called Golden Buffalo. 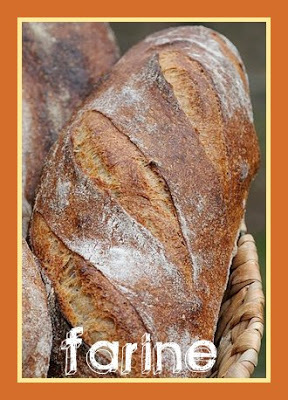 I have had success with this flour in making a miche and one gets all the benefit of whole wheat but a milder color and taste than whole wheat.